Steve Divinski, PTA is a licensed Physical Therapist Assistant at ACI Physical Therapy at our Yanceyville and Roxboro locations. 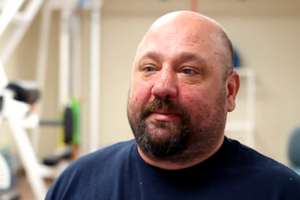 Steve has over 15 years of experience in outpatient orthopedic Physical Therapy. He enjoys helping people get back on their feet and return to work or sports. Steve graduated in 1991 with an Associate of Applied Science in Physical Therapy from Tidewater Community College. After graduation, he began working at our sister company, Danville Orthopedic & Athletic Rehab. Steve resides in Danville, Virginia. He stays active by keeping up with his daughter. Steve is a proud veteran of the United States Military.